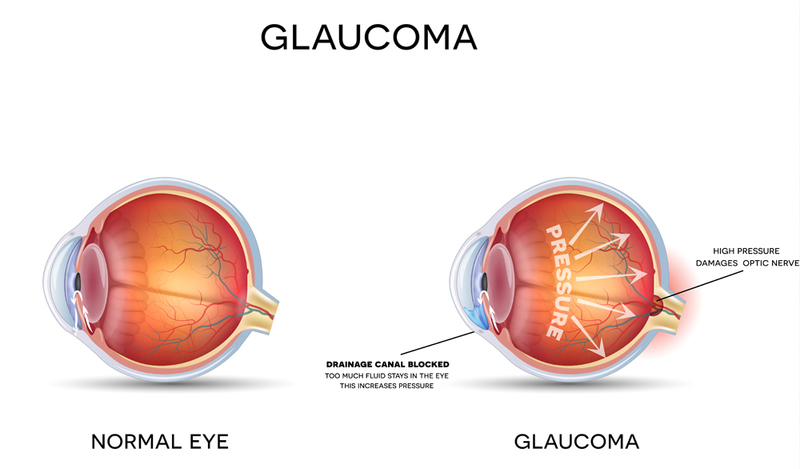 A leading cause of blindness in the United States, glaucoma is an incurable eye disease that is the result of increased intraocular pressure (IOP) in the fluid chamber in the eye. In the normal eye, this vital fluid passes through drainage channels; when those channels are blocked, glaucoma develops. As a result, pressure builds in the eye permanently damaging the optic nerve. Vision loss from glaucoma is irreversible. Early detection is crucial and regular eye exams with our Fremont optometrist can help save your vision. Unfortunately, open-angle glaucoma, the most common type, produces no noticeable symptoms until the permanent damage is already done. Frequently the patient reports to their optometrist with complaints of loss of side, or peripheral vision in the later stages. Angle-closure Glaucoma, a less common type can occur suddenly and produces acute eye pain and/or a headache. The good news is, your optometrists in Fremont will detect the presence of Glaucoma during a comprehensive eye examination. This exam always includes collecting a thorough family and personal history of injuries, symptoms, diseases or vision problems that place you at greater risk of the disease. Based on the info you provide, and your eye examination, your optometrist will determine which additional tests are required. It is essential to detect Glaucoma in its earliest stages when treatment options may be more plentiful and successful. Regularly scheduled comprehensive eye exams are vital to the protection of your precious eyesight. Here at Warm Springs Optometric Group in Fremont, your vision is our only concern. Our knowledgeable, friendly staff is here to serve you and your family. We offer you exemplary care, convenient hours and location and the peace of mind of knowing your eyesight is in expert hands. Call us at 510-255-4605 to schedule an appointment with our experienced Fremont optometrist.